I hope this email finds you well, it’s William here from Chiko’s Restaurant writing to hopefully get some support from you. 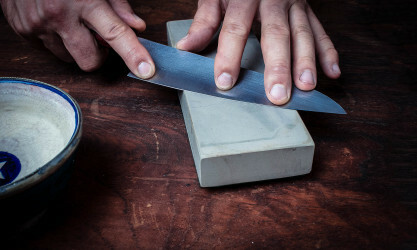 I am reaching out to my contacts as I have been tasked as a NZ young chefs ambassador for the Auckland region in collecting any pre-loved, sharpened chefs knives on behalf of NZ Chefs Association and World Chefs, who will pass them on to young under privileged chefs all around the Pacific Region. I am a great believer in everyone getting a fair shot in this industry so it would be great to see if some well known chefs such as yourself could be part of this initiative. It would be much appreciated if you could also include a personal message to go with the knife/knives, a note of motivation, a small story behind that knife, where and who it’s from with the knife. I am more than happy to collect these from you in the coming weeks (or if you’re out West feel free to pop by the restaurant) and possibly get a photo with you and your team to further promote this movement via social media . Please feel free to also forward this on to other chefs and restaurants within your networks, the more the merrier! Thank you so much for taking the time to read this email, I am looking forward to your reply. I have assembled a donation pack which is still growing in numbers. There is time until the end of the year to donate. If you have an retired knife and you want to help out with this project. I would take it of you and get back to a sharp state ready for its new owner and hand it over to NZ Chefs. I think we all have a draw somewhere with hidden treasures ! Please remember to add a note of motivation for the young Chef to inspire them. I gratefully appreciate your contribution.